The idea of Japanese summers conjure memories of pulsating taiko drums, chanting crickets, and booming fireworks echoing throughout the sky. But embedded into this soundtrack is the delicate tinkling of fuurin, the Japanese brand of wind chimes. The wind chimes, commonly made of glass and ceramic but traditionally of copper and steel, decorate the doorways and balconies of many Japanese homes in the summer, and are adorned with designs or paintings of summer imagery. While historically, fuurin were used to measure the speed and direction of winds, they now grace people’s homes as summer ornaments, coming in the shapes of Mickey Mouse, Hello Kitty, and the like. 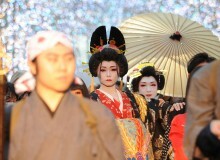 The fuurin plays a pivotal role in one of Japan’s newest festivals, the Enmusubi Fuurin Festival. 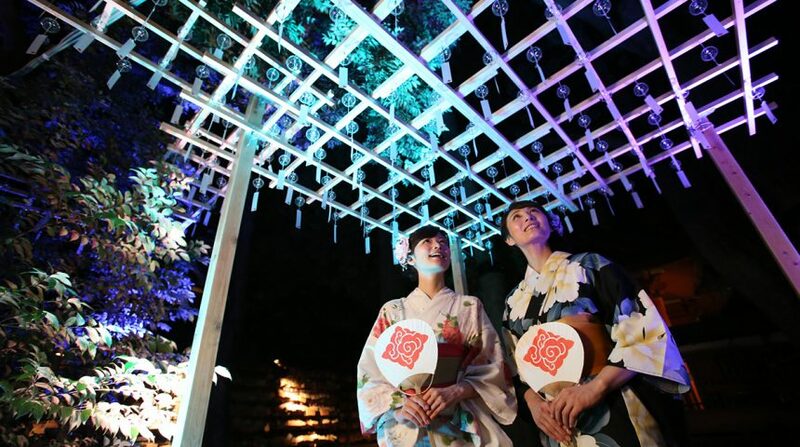 Held annually at the Hikawa Shrine in the Edo-style town of Kawagoe, Saitama, the festival centers around people sending their prayers regarding love out into the universe. 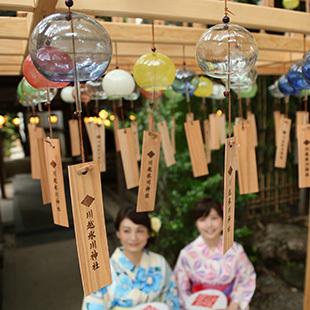 After visitors have expressed their heart’s desires to the Milky Way, they can treat their eyes to the takemari—artistic spherical bamboo ornaments—that adorn various areas of the shrine. The objets light up at dusk, making for a scenic stroll among the spiritual grounds. 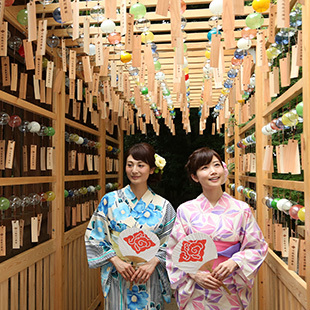 The stroll would inevitably lead to the newly installed Fuurin Komichi (“wind chime alley”), where wind chimes line the pathways that differ in appearance from those seen at the Enmusubi Fuurin Kairo. 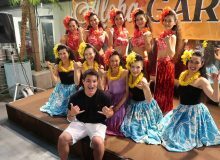 The fuurin here are simplistic and clear, but their tinkling sounds are just as divine. The shrine lights up in the evening at an area called “Amano Gawa no Negai Goto” (“What the Milky Way Prays for”). Here, the illuminated stream of goshinsui (water offered to the gods) runs through, emulating the Milky Way, symbolizing the union between the Vega and Altair stars that prompted the galaxy to come to Earth. The stream’s steady flow also provides the soundtrack to a quiet stroll underneath the star-lit sky. For a taste of the soothing side of Japan’s festivals, let the winds take you to the Enmusubi Fuurin Festival.